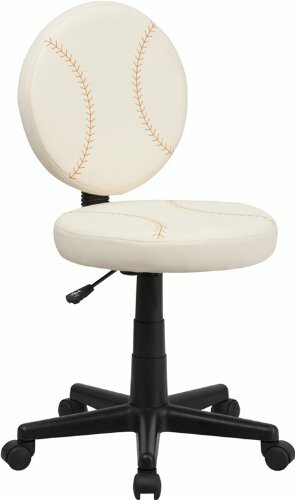 Bring your favorite sport to the desk with this soccer inspired office chair that is perfect for all young soccer fans! the round seat and back resembles two soccer balls that are upholstered in vinyl material for easy cleaning. This chair was designed to support the lower-to-mid back region. If you have any questions about this product by ComfortScape, contact us by completing and submitting the form below. If you are looking for a specif part number, please include it with your message.